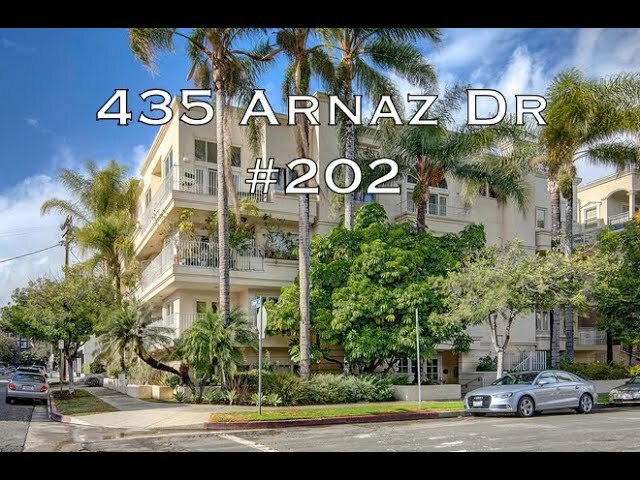 Arnaz Crown is a 15-unit condo building in Beverly Center. Built in 1991, the building has Low HOA dues, and is in good shape. 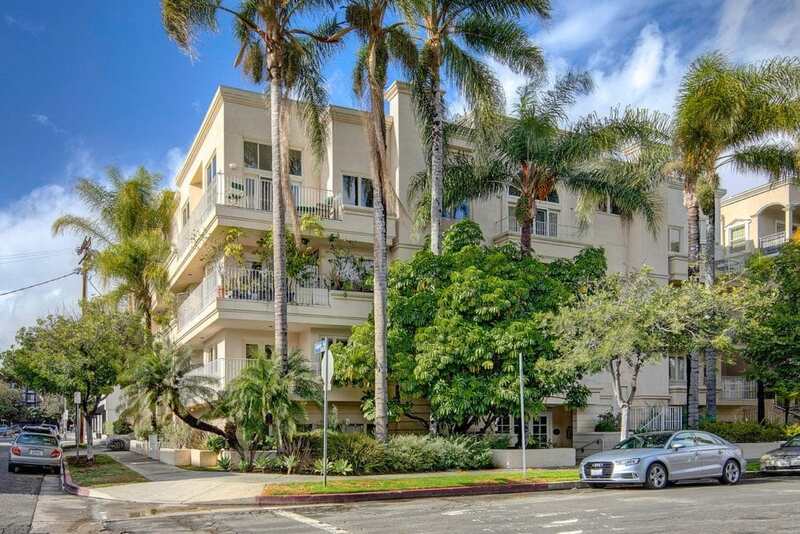 There are 3 floors on top of the ground level garage, with a penthouse level on the 4th floor that has double height ceilings, Huge Picture windows, and a private roof deck. 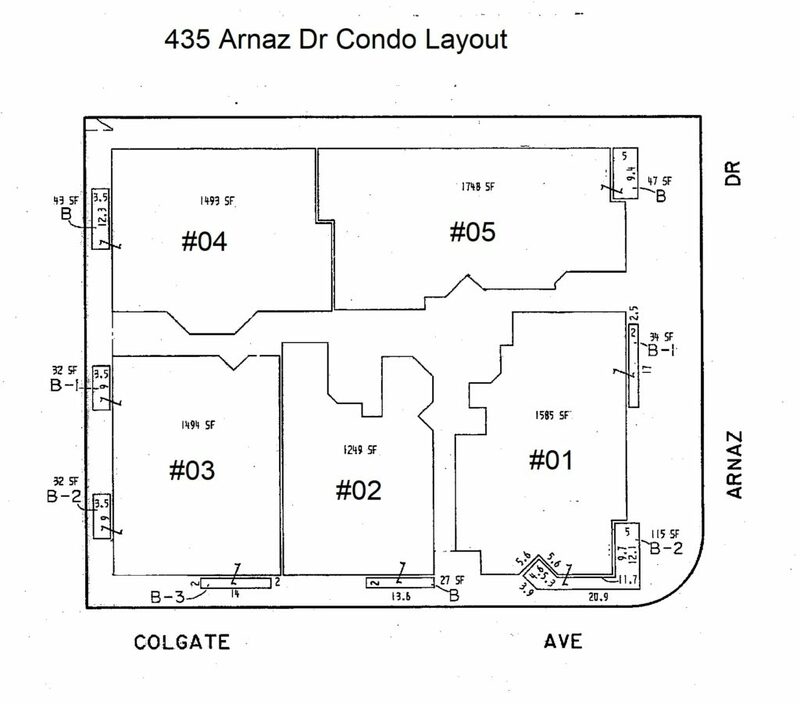 The building is located on the corner of Arnaz and Colgate, so it has to sides that are street facing, four of the 5 floorplans have street view. 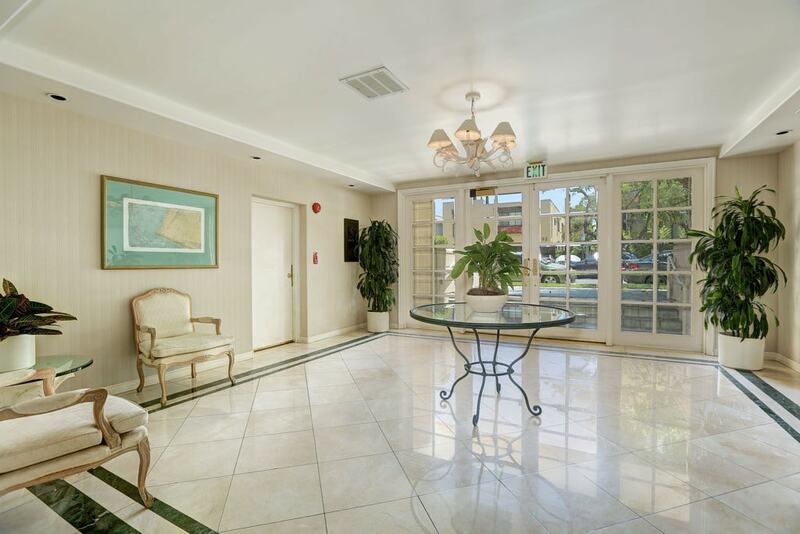 The lobby has french doors, that open up to a diamond pitch marble tile with a custom border. The condo has a mix of 2 Bedroom and 3 Bedrooms that range in size from 1250 sqft up to 1600 sqft and add an extra 350 sqft if it’s a penthouse for a loft bedroom that leads out to the roofdeck. Prices range from $900,000 to $1,000,000. 4 of the 5 stacks are street facing. Typical of this era, there is formal entry and coat closet. Original 90’s Kitchens have white stripe acrylic cabinets, and granite countertops. The building was originally built as condos, so it has in unit laundry, and gas for the stoves. The dining room seats 6 – 8 and the living rooms have gas fireplaces. You are allowed to install hardwood flooring which some owners have done, while others have carpet. Every condo has a least one small balcony, some have two. Master suites have their own private bathroom and two to three closets. The developer finishes featured marble counter tops in the bathroom with a double step edge. All the floorplans on floors 2 and 3 are single story, and the penthouses have stairs up to a loft and deck. This is a smaller building so it doesn’t have amenities. Laundry is inside the unit with a Stacked Washer/Dryer Laundry closet in each condo. Every condo gets 2 tandem parking spaces in a street-level gated parking garage. There are 3 guest parking spaces.